Teresa Mackintosh, CEO Over the last 20 years, the compliance environment has changed significantly from self-regulation to statutory enforcement, with the list of regulations constantly changing and growing to include anti-money laundering and anti-fraud legislation, privacy, financial, IT security and more. Today, the soaring complexity of compliance is no longer a temporary challenge–it is the new reality. “Based on our experience working with enterprise-class organizations, most companies now have different layers of controls that need to be managed, increasing the complexity of their environment,” explains Teresa Mackintosh, CEO of Trintech. “Most specifically, we find that in companies that operate under multiple regions and business units, there are several people within different departments of an organization who need to collaborate to effectively ensure these controls are executed successfully. This culminates with the actual signatures of the CEO and CFO of public companies, who are certifying the accuracy of the organization’s financials.” The tough question they must ask, then, is what evidence do we have to validate the accuracy of the financials? The changing landscape of technology has significantly impacted the relationship between the C-Suite, specifically between the CFO and CIO, who must work together to deliver visibility to core company risks and actionable intelligence. This allows them to drive strategic decisions in a compliance-focused environment. Nowhere is this more important than within the integrity of the period-end numbers. Between internal controls and external regulations, financial data is the most tightly monitored data in the world. And yet, many steps in the Financial Close process are manually managed, creating gaps in the compliance framework. The approach taken by companies to resolve this compliance challenge varies depending on their appetite for improvement and their current maturity stage. Despite the digital age we all live in, it is not uncommon for enterprise-class organizations to rely on spreadsheets, emails and phone calls to manually manage tasks critical to the Close, but it does create potential high risks across the organization. “One of our enterprise-class customers gained buy-in from its board of directors to begin its financial transformation project when they stressed the risk they faced from managing a $52billion balance sheet in Excel,” states Mackintosh. The benefits of a financial transformation project are endless in today’s complex, compliance-focused world. Do we want highly skilled people managing menial, manual activities or do we want them to focus on delivering value to the business by utilizing technologies that increase security through compliance automation? • Yesterday – Manual and Internal: Growth through mergers/acquisitions and historic local purchasing decisions means that the technology landscape for most finance organizations has become a hodge podge of ERPs and other point solutions. This leads to increased risks and sleepless nights for both the C-Suite and the employees tasked with manually delivering the numbers each period-end. • Today – Outsourced: Several organizations have come to the realization that using its highly qualified employees to manage these menial, manual Close tasks is an inefficient way to ensure compliance over the period-end numbers. They have then, in turn, outsourced these tasks to Shared Service Centers or BPO partners, only to be exposed to the same human-error risks in their period-end numbers. Although there could be some single-point solutions being used to manage specific processes, the overall compliance framework in regards to the appropriate controls is often still manual. "RPA allows an organization to live in a risk-based world. One where the robots know the tolerances that are allowed according to the organization’s policies and automatically run activities, only notifying a person when there is a core issue to be resolved"
• Tomorrow – Robotic Process Automation (RPA): To drive further efficiencies, world-class companies are now realizing that RPA can be utilized to not only lower costs and reduce errors, but also improve compliance by inspecting, automating and triggering remediation. This enables your highly qualified employees to focus their time on delivering and driving valuable insights across the business, leaving the manual tasks to the robots. With RPA, an effective controls framework underpins the whole process and by unifying all key control components together, it enables a clear audit trail for your compliance initiatives. Trintech’s financial automation platform, Cadency, delivers this world-class framework, addressing the entire Financial Close process through a single, seamless, integrated technology, eliminating the need for multiple single-point solutions. With Cadency, the CFO can easily alleviate the internal and external pressures brought on by regulatory bodies and multiple audits. “These tasks critical to the Close should not be completed manually, as they are time consuming, error prone and inefficient, creating high risk to the entire organization. This is why it is time to bring Robotic Process Automation to the office of finance,” affirms Mackintosh. 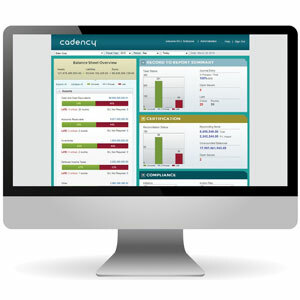 With Cadency’s compliance management solution, CFOs also gain a single, unified governance solution that enables them to maintain visibility across all performance management and compliance activities. The solution manages all COSO, SOX and other compliance initiatives, including HIPAA and FERC/NERC, and coordinates security standards such as PCI-DSS process management initiatives like quality control, IT governance, and security. 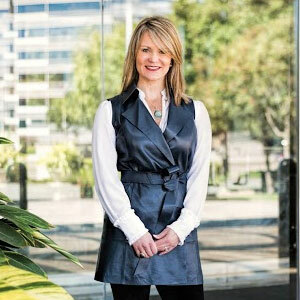 “Enterprise-class finance organizations also leverage Cadency’s complete configurable technology such as dynamic scoping, scheduling, test and evaluation workflow, exception and remediation workflow, management consoles, audit trail and flexible ad-hoc reporting to ensure compliance management controls are identified, scoped and performed,” adds Mackintosh. At the center of the platform lies an Internal Controls Process that brings elements such as certification and document processing together to ensure controls are performed correctly. The platform allows the CFO to document the close process as a whole and identify the controls and the risks associated with them. From there, testing results are certified and stored, which can be analyzed by authorized individuals to discover and amend errors, and to ensure compliance demands are met in all respects. “The whole cycle simplifies the remediation of errors by continuously tracking, monitoring and improving the controls,” adds Mackintosh. The platform also enhances the control environment, documentation and policies by making the entire reporting process automated, transparent and efficient. This approach allows companies to remain proactive in the Close process and better manage their financial controls. For over 25 years, Trintech has been a recognized provider of financial software solutions, helping the finance industry optimize resources, reduce costs, and improve governance and transparency across the financial close process. 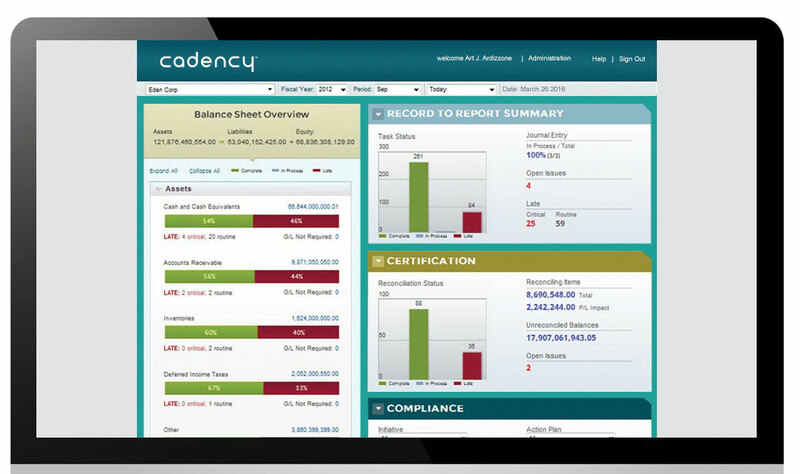 Trintech’s enterprise-class cloud-based solution, Cadency is greater than just a compliance management solution; it is the world’s first and only financial governance software solution on the market that weaves all of the Record to Report (R2R) activities into a single, seamless process. From orchestrating all the close tasks and activities, to automating journal entries and high volume, intercompany and balance sheet reconciliations, to ensuring compliance standards are met, Cadency manages the entire R2R process. This single end-to-end solution delivers real-time visibility into the Financial Close for the C-Suite, producing data-driven insights to propel strategic growth and ensure accuracy across the financials. Gaining value in the ever-changing finance industry is a far-sighted goal for every organization. To ensure this value, Trintech implements a rigorous market awareness methodology to stay ahead of trending technologies and tailors its solutions to empower customers to stay ahead of the curve. “By doing this, we maximize the ROI of our investment into our solutions and people to further drive value for our customers,” says Mackintosh. Trintech has stayed close to its roots, supporting customers through all stages of their financial transformation journey, from manual operations to standardization, to process optimization and robotic process automation. “It will remain our mission to provide our customers with innovative technology to transform their financial close processes in order to improve efficiencies, lower costs and reduce risk across their organizations,” highlights Mackintosh. Resorting to the latest technologies and disruptive trends, Trintech aspires to empower the office of finance beyond the constraints of compliance. That said, it would be difficult to estimate how the compliance landscape will look in the future, but with Trintech taking charge of the wheel, complexity surely won’t be the reality.